The poster is for a manufacturer who provides high quality Japanese paper. We formed the sun, that represents energy, out of triangular symbol of the manufacturer to express their strong history succeeding for almost 150 years. We also used Japanese paper (one of their products) and tore the ends by hands so that we could bring out the unique texture of Japanese paper. 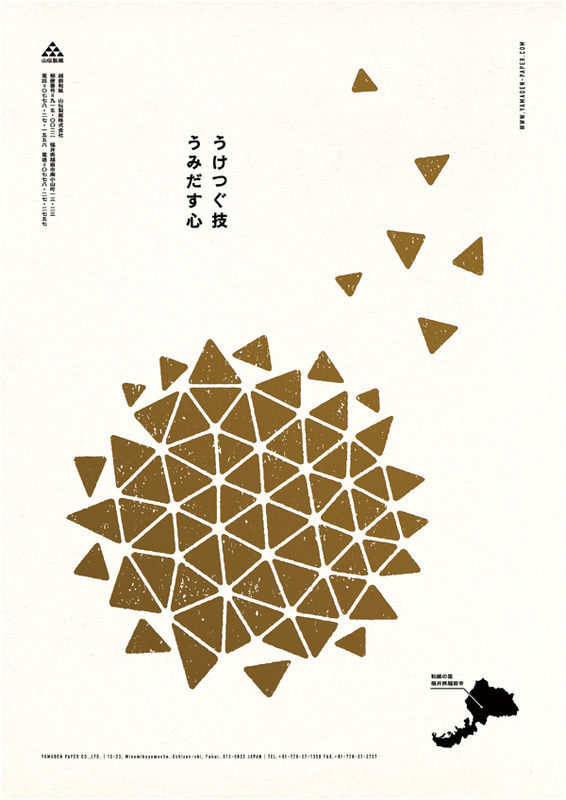 The golden foil that has antique nuance represents long tradition and warmth of Japanese paper. Client = Yamaden Paper Co.,Ltd.